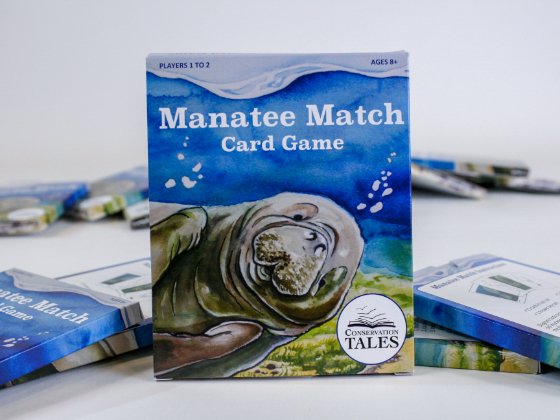 Manatee Match is a matching card game that teaches children how scientists identify manatees based on their scars from past injuries. 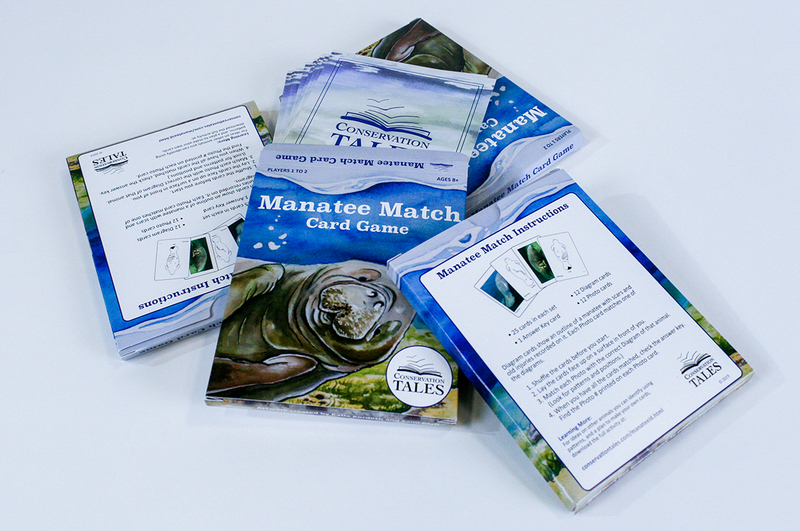 Manatee match was designed for Conservation Tales as a new product to help educate children about manatees. 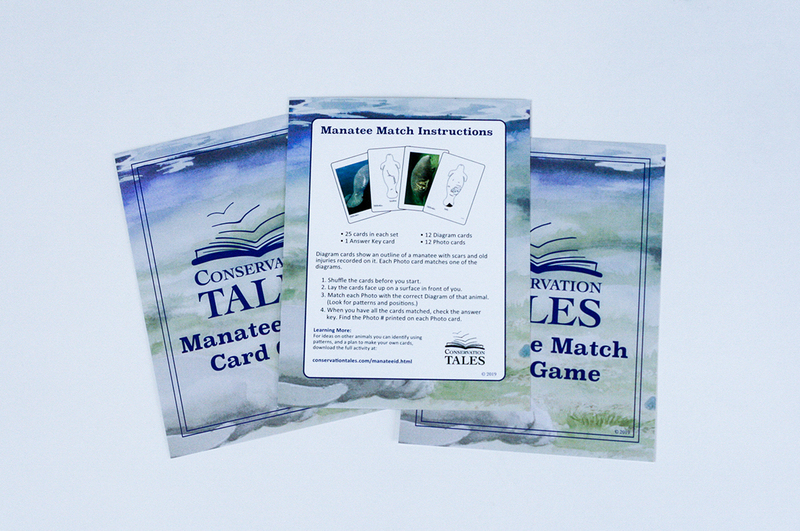 The Conservation Tales is a book series written for grades 3 through 5. The purpose of the series is to encourage children to take action in conserving wildlife because caring for animals and their environment starts early. 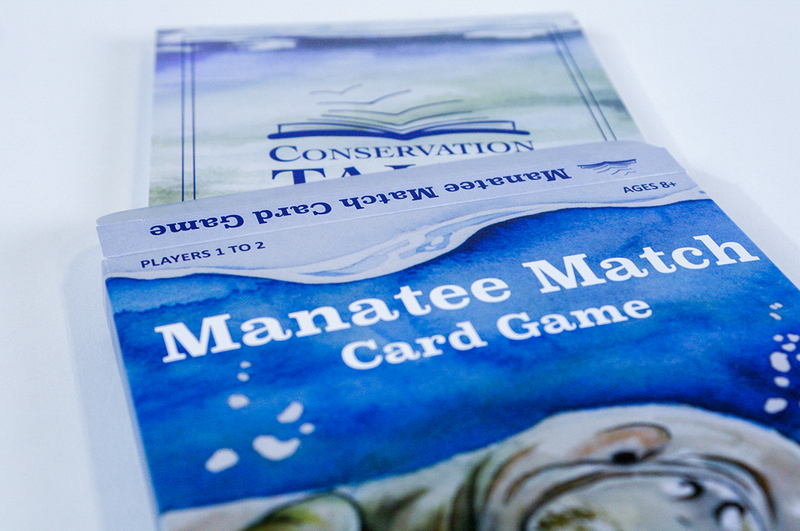 This series helps children understand the science behind wildlife conservation while discovering potential careers and experiencing inquiry-based science activities for school, home, or after-school settings. 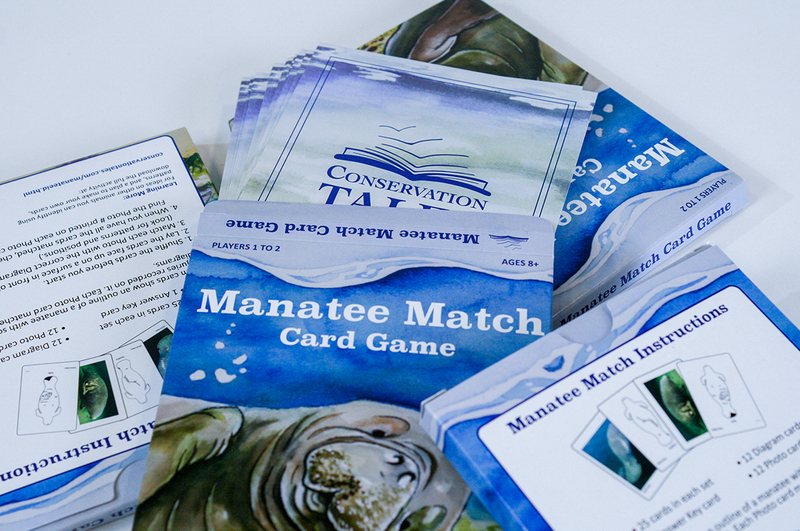 Manatee Match can be used in schools or home activities to encourage children to learn more about manatees. 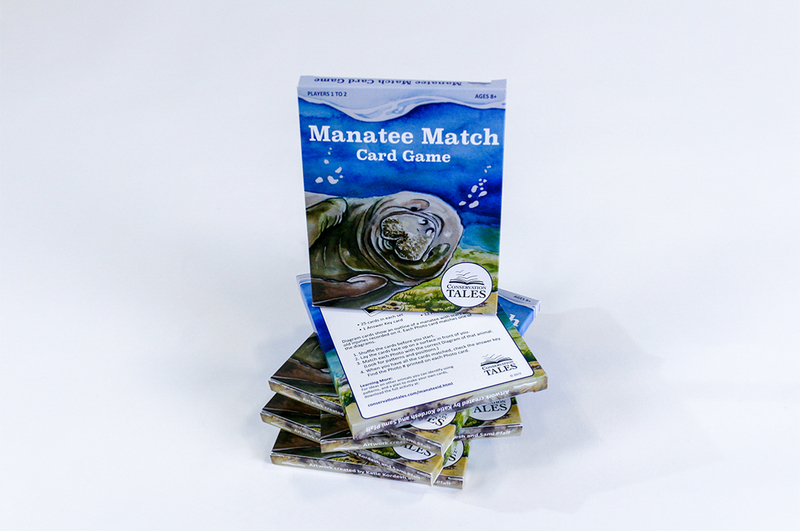 Manatee match is a matching deck that includes 25 cards. 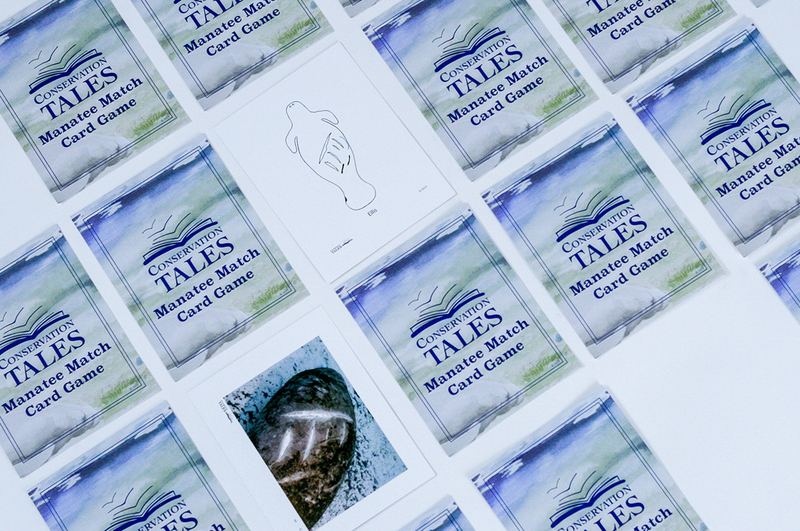 The deck includes and answer key, 12 diagram cards, and 12 photo cards. 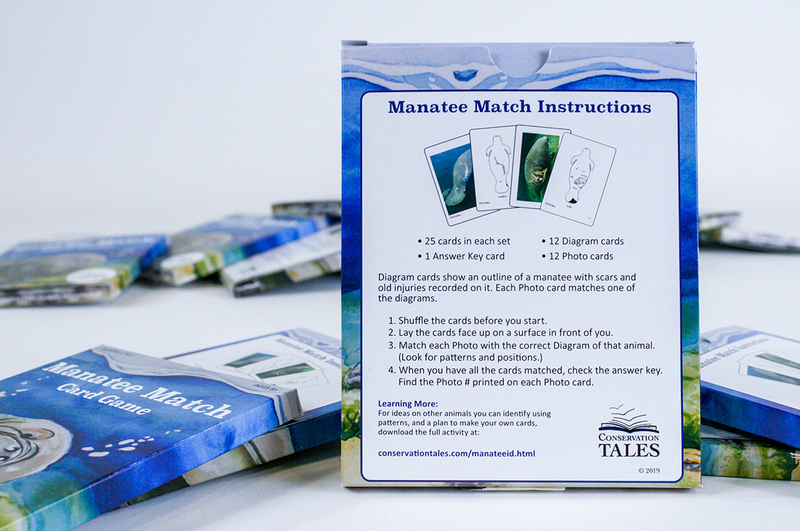 The Diagram cards show an outline of a manatee with the scars and old injuries recorded on it. Each photo card matches one of the diagrams. 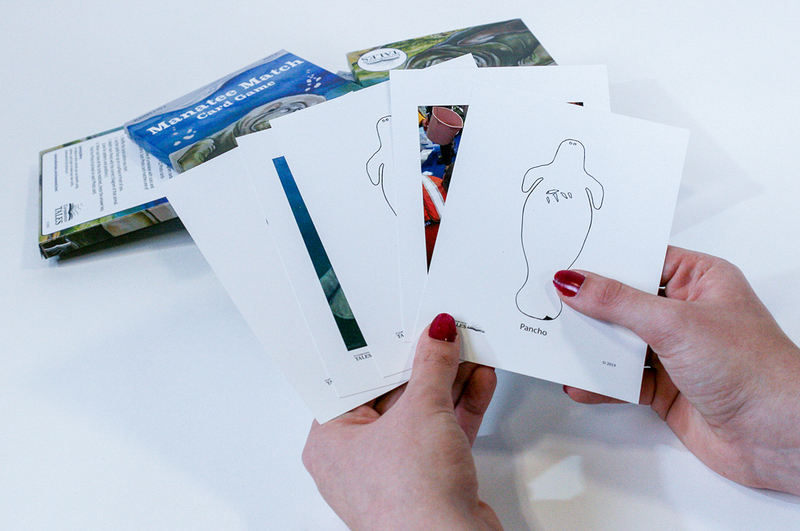 The child must match the correct diagram card to the correct photo card in order to properly identify each manatee. 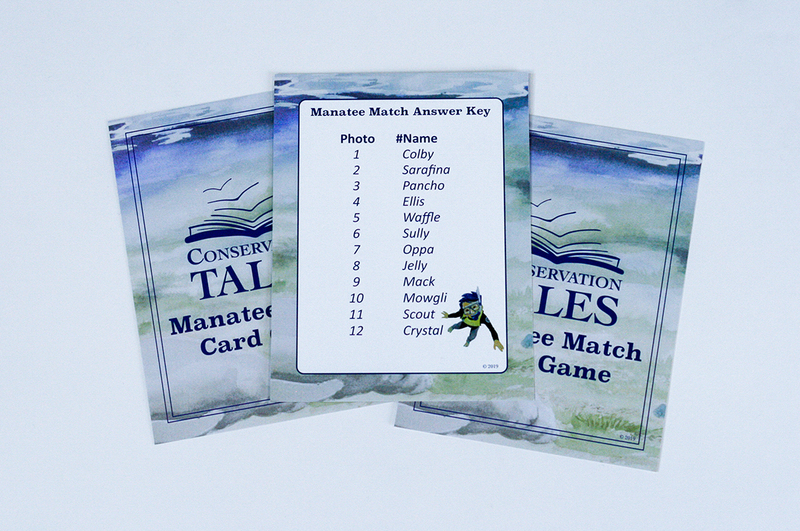 This is what scientists and researchers do in the field in order to keep track of manatees. Shuffle the cards before you start. Lay the cards face up on a surface in front of you. When you have all the cards matched, check the answer key. Find the Photo # printed on each Photo card. 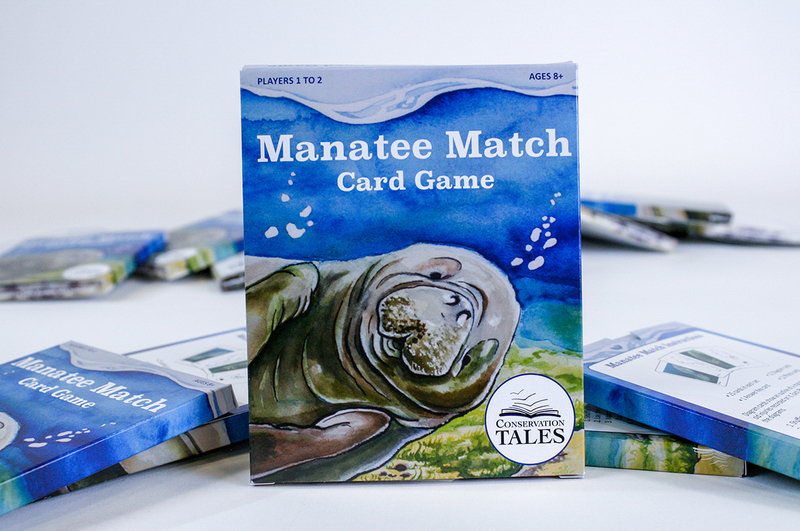 The card box design incorporates some of the artwork which is featured in Conservation Tales Manatees. The artwork was created by students in the Conservation Tales team. 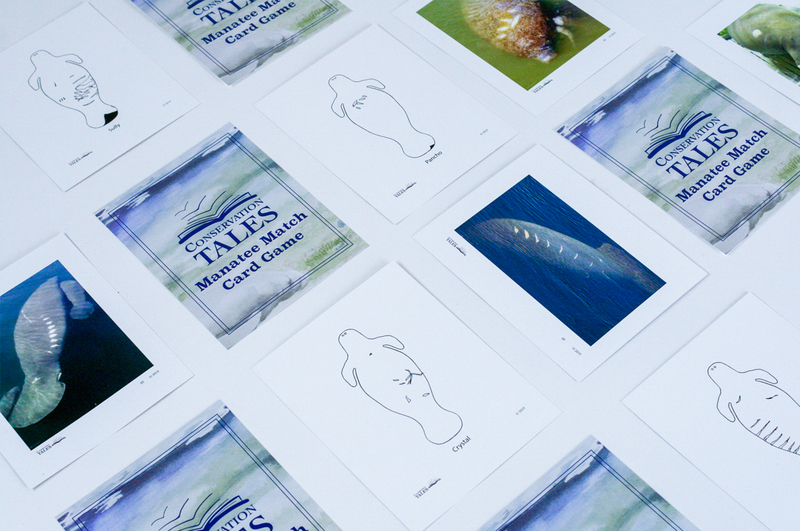 The Conservation Tales books are more than just stories about animals! Each story is based on the work of real scientists who study the animals in the wild. 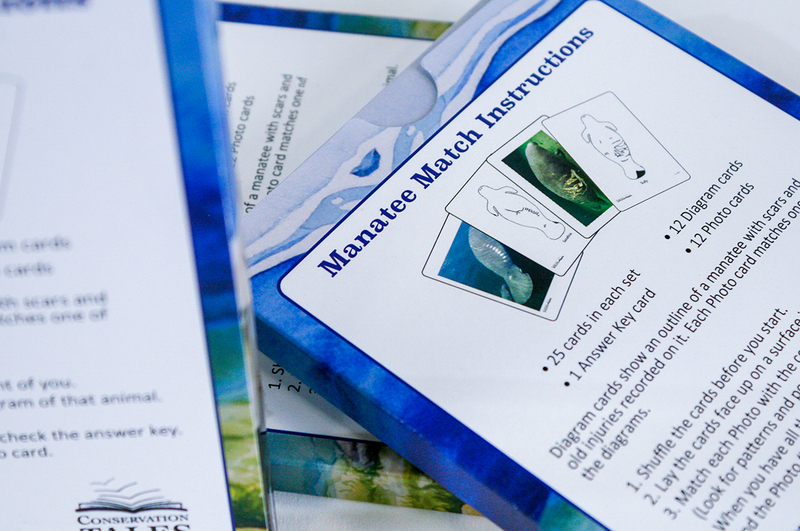 Manatee Match was created as an activity to teach children how to properly identify manatees like scientists and researchers do out in the field.